Looking for Better Options on Philadelphia Restaurant Insurance? Contact Humphries Insurance at 215-646-5633. We are a leading independent insurance agency offering Restaurant Insurance in Philadelphia and the surrounding areas from top rated insurance companies. Why Protect Your Business with Our Philadelphia Restaurant Insurance Program? Your business is likely more than your largest investment. It’s also your livelihood. Taking steps to protect your largest asset with appropriate business insurance is not only a wise investment but it could very well protect you and your family’s financial future. What would happen if an insurance claim occurs at your restaurant that isn’t covered by insurance, or let’s assume you did not purchase enough insurance to cover the claim? It only takes one claim occurring at the worst possible time that could have a devastating impact upon your business and in a worst case scenario an un-covered claims event could force you to close your doors permanently. For this reason it’s important to not take shortcuts on your Philadelphia Restaurant Insurance program. Why It’s Vital to Pick the Right Coverage? As a restaurant owner you have unique exposures not typical of other small businesses. For instance if you serve alcoholic beverages, it would be very important to seriously consider purchasing Philadelphia liquor liability insurance. A patron becomes intoxicated after visiting your establishment, operates a motor vehicle and is involved in an accident resulting in serious injury or death to himself or other parties. Could you be held liable? Naturally it depends on the circumstances but there is always a possibility you could be held financially liable and a significant judgment without Philadelphia liquor liability insurance would force you to pay all cost involved. Philadelphia liquor liability insurance may cover the restaurant’s attorney’s fees, court costs, and any civil or criminal damages awarded up to your individual policy limit. 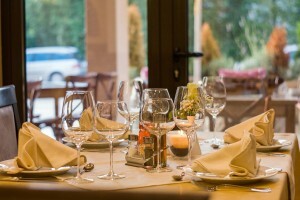 We Can Help You Find Restaurant Insurance in Philadelphia. There are a number of different unanticipated claims situation you can face as a restaurant owner. There are also a number of different insurance solutions to protect your business. We will take time to discuss your individual needs for commercial restaurant insurance in Philadelphia. Call us at 215-646-5633 to speak with the licensed agents of Humphries Insurance. We are here to help! Need Business Insurance in Other Areas?